Air, Water And Soil Pollution Takes 3 Times As Many Lives As AIDS, TB And Malaria Combined : Goats and Soda Researchers looked at the combined effects of air, water and soil pollution on global health to come up with an annual toll. A woman wears a mask and filter as she walks to work during heavy pollution in Beijing, China. Those studies observed populations exposed to pollutants and compared them to people not exposed. The studies have shown that pollution can be an important cause of diseases — many of them potentially fatal — including asthma, cancer, neurodevelopmental disorders, birth defects in children, heart disease, stroke and lung disease. "No country is unaffected," the report notes. But 92 percent of those deaths occurred in low- and middle-income countries. "Pollution in rapidly developing countries is just getting worse and worse and worse. And it isn't getting the attention it deserves. It needed to be rigorously studied," says Dr. Philip Landrigan, pediatrician and professor of environmental medicine and global health at the Icahn School of Medicine at Mount Sinai. He is the lead author of the Lancet Commission on Pollution and Health along with Richard Fuller, president of Pure Earth, which works to clean up pollution in poor countries. We talked with Landrigan about the commission's findings. Why do this study now? The issue has come of age. Richard Fuller and I have worked in environmental health for a long time. Richard works with USAID and counterparts to clean up hazardous waste. I'm a pediatrician studying effects of pollution on health. We have deep roots in this area. We wanted to rigorously study the problem and marshal the evidence. We brought in these authors with a range of expertise to work on a report to try to translate science into policy. We wanted to look at disease, but also the intersection of pollution with economics and social injustice. The report says that "the health-related costs of pollution are hidden in hospital budgets." What do mean by hidden costs? Arsenic in the water increases rates of some cancers, but the connection isn't immediate. When debates arise about controlling pollution, industry almost always says it's too expensive to make changes. Industries can make that statement because they can calculate how much it costs, say, to put filters on smokestacks. The health costs to people over many years of exposure to pollution is less obvious. Why does pollution disproportionately affect poor countries? Many of those countries are rapidly industrializing. But they have weak environmental agencies. They're galloping ahead with industrialization without paying attention to the consequences. You talk about environmental injustice. Explain the injustice of pollution. One blatant example is asbestos. About two million tons of new asbestos is produced every year. [Asbestos is outlawed in most of the developed world because of the high risk of lung cancer.] Virtually all of that goes to the world's poorest countries that have poor or no regulations against it. [According to reports it is used in the production of building materials, among other products.] It's going to continue to cause epidemics of cancer in poor counties. Another example is pesticides. About 20 percent of U.S. pesticide production is of pesticides not allowed in this country because of known health risks. So we export it to poor countries. Then there is the international transfer of materials like old computers, cell phones, TVs, refrigerators from rich countries to the developing world. People break them up and try to extract valuable things like gold or copper, and pollutants get into the soil. Or lead batteries end up in developing countries and contaminate communities. Are there low- or middle-income countries that are making positive changes regarding pollution? China is doing a very good job in controlling their pollution. They still have a long way to go but they have a national plan for attacking air, water and soil pollution and they're becoming a world leader in the adoption of renewable energy — wind and solar. We suggest creating a Global Pollution Observatory to track progress toward tackling pollution and periodically publishing updates in The Lancet. Also, experts in developed countries can provide technical assistance to poor countries to develop and implement health and pollution action plans like reporting statistics on premature deaths by pollution risk factor. In fact, that work has already started in Madagascar, Thailand and Kenya. And we've launched an interactive websitea step toward tracking progress on global pollution. It seems like an enormous problem. 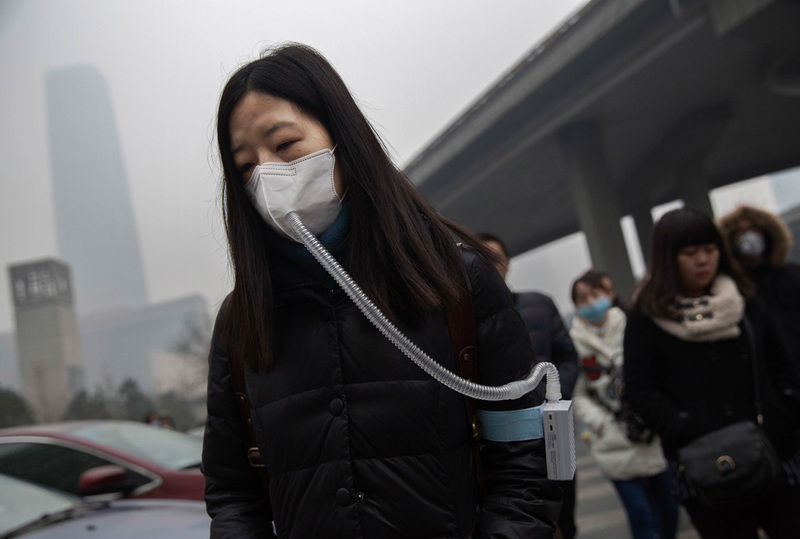 Do you see much hope for reducing pollution-related disease and deaths in poor countries? One of the things we hope will happen is that pollution will become more important on the global policy agenda. When you look at the time in the U.S. since 1970, the year of the passage of the Clean Air Act, air pollution in the U.S. has come down by 70 percent. At the same time, GDP has increased by 250 percent. That puts the lie to what we hear that controlling pollution is going to kill jobs. That's untrue. The laws, the engineering solutions, are ready to be exported. This is a winnable battle. We say that because the rich countries have done it. In 1969, the Cuyahoga River in Cleveland was so polluted, it caught fire. Today, people kayak down that river.